cameron highland ni sejuk.... ada aircond tersembunyi ke? anyway, school holiday just started but since my hubby is going to be overwhelmed by work spending the first half of the school holiday outstation, so we decided to give the kids some excitement by having a short getaway before the school holiday plus we (the adults) badly need the fresh air to de-stress. 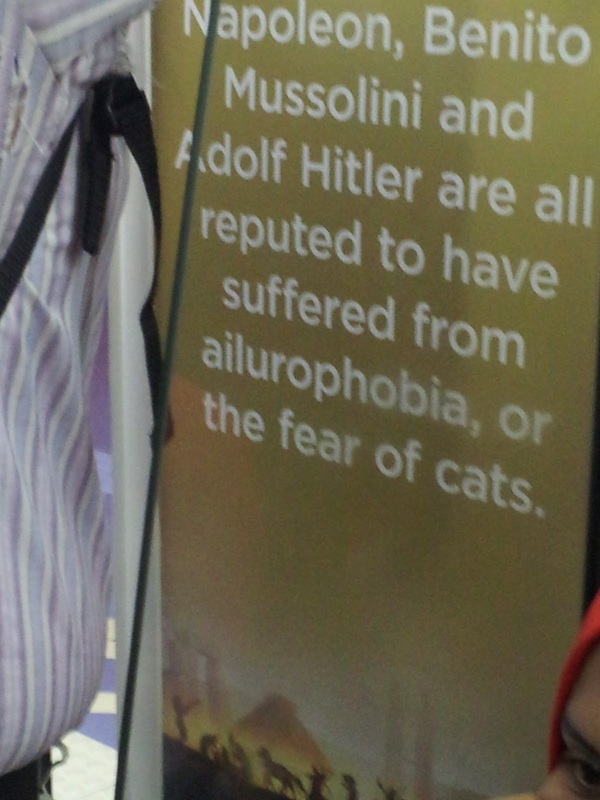 So, do we need to become ailurophobia in order to become world famous? Or is it ruthlessly famous? Or positively, those person who have great vision and achieve their visions? So lets fear the cats!!! Another old article from Lee Mun Wai, Financial Snacks of The Star. Now this make me thinking more on how to do a wiser move regarding property loan.... hmmmmmmmm.... Where is my thinking cap??? 1- Remember: You only have to deal with the jerk a few hours a week. The jerk has to live with himself his whole life. 2- try thinking about the twenty or so things that aregoodabout our job. The girls were busy playing 'without the token'. 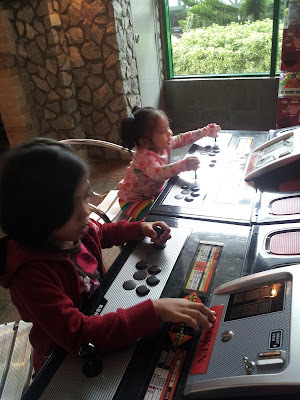 As you can see, Zahira was very excited playing this machine. She climbed up the chair by herself and did not want to go to anywhere else. Taken last Saturday at Equatorial Hotel, Cameron Highland. After trying to find out the latest article by Lee Mun Wai, I just have to share his old article here... very interesting and he put it out so simple... but the main question, can we do it??? “I’m trying to build a retirement nest egg, but I really have mixed feelings about the pharaoh’s decision to raise our retirement age.” “First, get a million ringgit...” Okay, it's not that simple! You have to understand how to operate the three steps of wealth creation, writes LEE MUN WAI. THE three steps (T.A.R.) are: how much TIME you have, the AMOUNT you save, and your RETURNS on your investment assets. The slightest change in one or two of these steps can affect your path to RM1mil. Hopefully we could incorporate those life lessons into our daily. The kids 'nearly obsession' with specific cartoon programmes. The younger ones with 'Upin dan Ipin'. While the elder are enamored with 'Masked Rider'. 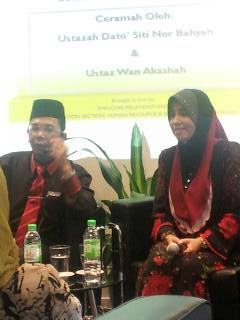 Semalam kat opis, buat julung2 kalinya, ada ceramah agama oleh pasangan penceramah yg famous tu... Ustazah Dato' Siti Nor Bahyah dan suaminya Ustaz Wan Akashah. Topik yang dibincangkan adalah tips2 untuk membina keluarga bahagia. Berikut adalah sedikit nota yang sempat dicatatkan untul ingatan sendiri di masa hadapan. 1- Tuna dicampur dengan sedikit mayo dan sos cili. Gaul rata. Last night from 8pm to almost 11pm, it was an almost non-stop honking plus jeritan2 manusia. At first, i thought it is coz by the trafiic jam. 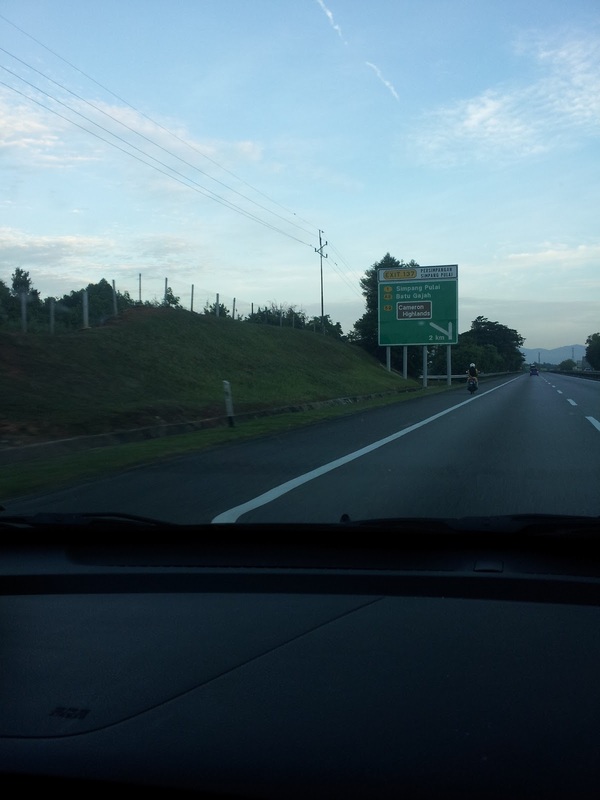 The traffic seems unmoving at that time at LDP highway near KJ. But the noise was persistent more than an hour. Then only i realized there was some perhimpunan organized by i-really-dont-care-who for whatever reason at Stadium KJ. And according to the self-proclaimed-journalists (some of my fb friends), there was a very very huge crowd at the stadium. But then it made me wonder several things. 1- how does that huge of crowd can populate that small stadium? 2- how do they get there?